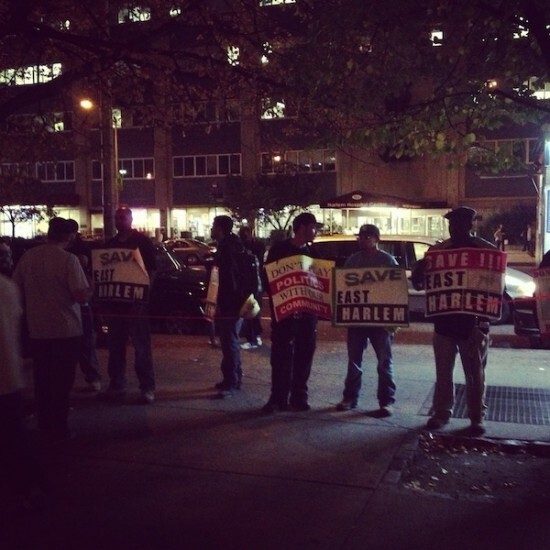 Protesters rallied in front of Harlem’s Schomburg Center on Oct. 4 to voice opposition to a redistricting proposal that would shift most of Councilwoman Melissa Mark-Viverito’s base to Mott Haven. Most of Mott Haven would get a new representative on the City Council under a redistricting plan unveiled to the public in a series of hearings this month. The new map would stretch the Eighth Council District, currently represented by Manhattan Councilwoman Melissa Mark-Viverito, all the way up to 152nd Street and as far east as St. Mary’s Park – an area currently represented by Maria del Carmen Arroyo. As proposed, the lines would remove La Marqueta at 115th St. and Park Avenue in East Harlem from Mark-Viverito’s district, clipping it back one block from Madison to Park Avenue. Mark-Viverito stands to lose 30 percent of East Harlem. Since 2006, Mark-Viverito has represented a sliver of Mott Haven in addition to East Harlem, Central Park, a portion of the Upper West Side and Randall’s Island. The proposed maps would expand the eighth district to include not only the entirety of Mott Haven, but also the waterfront up past Yankee Stadium, through Highbridge to the George Washington Bridge, an area currently represented by Helen Foster. 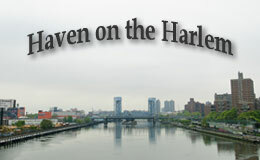 Bronx residents worry about the change. 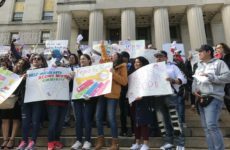 Highbridge resident Joanne Smithers, who testified to the commission at an Oct. 2 hearing at Bronx Community College, said Mark-Viverito should stay in Manhattan and the Bronx should get a new council seat altogether. Former state Senator David Rosado, who lives in Arroyo’s district, said Mark-Viverito has not made the Bronx a priority. Neither Mark-Viverito nor Arroyo returned calls for comment. 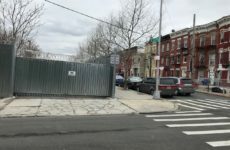 Aureo Cardona, a consultant who has lived in Mott Haven since 1972, said the proposed new lines for the 8th district would pose a problem not only for South Bronx residents, but for Mark-Viverito herself.. Political consultant Hank Scheinkopf agrees the plan spells trouble for Mark-Viverito. A new district for the Bronx is out of the question, according to the Districting Commission, because the City Charter allows for a maximum of 51 districts, regardless of changes in population. 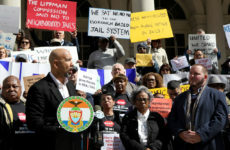 Activist Mychal Johnson, a member of Community Board 1 who lives in Arroyo’s district, said he was opposed to the changes for Mott Haven, and added the addition of the waterfront to the north would dilute attention to Mott Haven’s needs. The second round of public hearings is underway, after which the commission will meet to draw up the revised maps on Oct. 30, to be presented to the City Council for approval on Nov. 5. If the council turns down the maps, the feedback process will start all over again with a Jan. 15 deadline. If the council approves the maps, they must go on to be approved by the Department of Justice after March 5, under provisions of the federal Voting Rights Act designed to prevent gerrymandering. District lines will need to be finalized ahead of the 2013 elections.